Since 1936, blood banks have been helping their communities with blood collection and storage for use when needed. Safety is key for blood donations as just one pint of blood can be separated into its various components to be used in its entirety for accident victims, patients receiving treatment for disease, and during surgery procedures. Due to the potential for contamination and possible temperature fluctuations in storage units, these donations are regularly tested for ABO and RH blood types, HIV, bacterial contamination, and more, as well as being monitored for proper storage and handling. 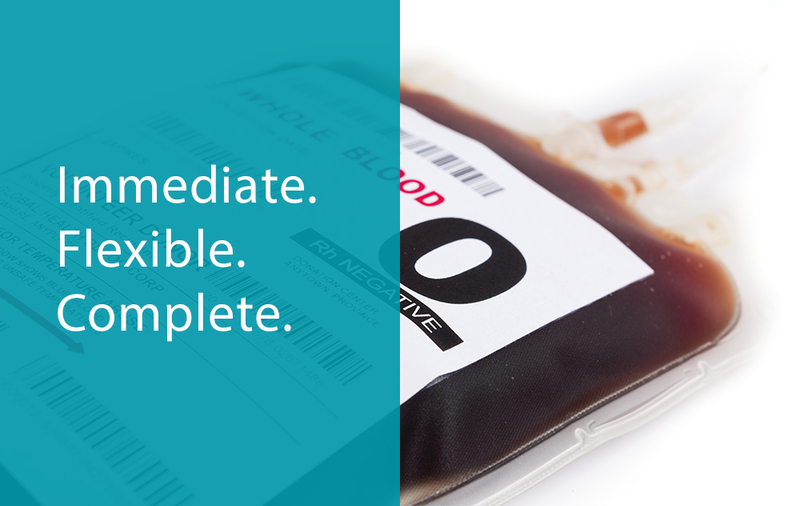 These risks necessitate the utmost care and attention, with consistent monitoring of blood and blood storage units. The lives and safety of the patients receiving donations rely heavily on the proper handling and storage of blood from the moment it is donated to the time it is being transfused. Many organizations work not-for-profit, and their time and energy is spent caring for the blood that is under their watch in order to aid and benefit the members of their community. They are regulated by strict compliance standards, requiring specific documentation to be maintained as part of proper required monitoring. Rather than manually keeping these records, a continuous monitoring system affords them the most efficient solution to protecting the invaluable life-giving blood in their care. In the U.S., 15 million units are used to care for 300 million people for a use rate of 50 U per 1000 members of the population each year. This amounts to 40,000 units for the whole population each day. Mesa’s ViewPoint Monitoring System is well suited for this very important job. It has immediate alert notification and provides real-time information through the software. Learn more about how ViewPoint system can protect your blood bank’s assets.